Festivals in Bolivia. Bolivian Festivals and Holidays, School and Bank Holidays. Many many festivals are celebrated throughout the year in Bolivia. The following is a list of some of the main events that take place throughout the country; however many other local and regional events take place as well. Dates change sometimes too, so when making plans, be sure to get the latest information from your travel agent. Some of these Bolivian festivals are also national public holidays. Click on this link for further details on those. 1 Año Nuevo (New Year's Day). This is a countrywide public holiday. Click on the link for more details on our New Year’s customs and rituals. 6 Día de los Reyes Magos (Day of the Kings or Wisemen). Also celebrated countrywide; however, this is not a public holiday and business continues as usual. 1st week. Achocalla. 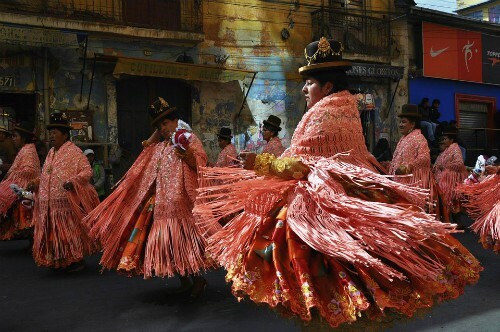 Dancers dance the “tarqueada” when the potato fields have begun to bloom to request rain and proper climactic conditions for a good harvest. Also celebrated in small towns in the departments of Oruro, Cochabamba, Potosi, Sucre, Tarija and Beni. 1 Laja. Festivities to celebrate incoming local authorities such as mayors and commissioners. The town is decorated with fruit, miniatures of condors, and small fish made from bread. Dancers dance to instruments such as the tarka and pinquillo. 3rd week. Achachairú Festival. Local growers of this native Bolivian mangosteen celebrate the fruit with an annual festival, which now includes business round tables with potential overseas buyers. Takes places in the lovely small town of Porongo. 24 Alasitas. In honor of the god of abundance, the Ekkekko, Alasitas takes place in La Paz near the end of January and sometimes in February. People buy miniature handcrafts of the things they want him to grant them during the next year and pin them onto a small statue of the Ekkekko. In Santa Cruz it takes place in September. Over 1000 vendors participate. 6 Change of authorities. Outgoing authorities are thanked and new ones are welcomed. 2nd Sunday. 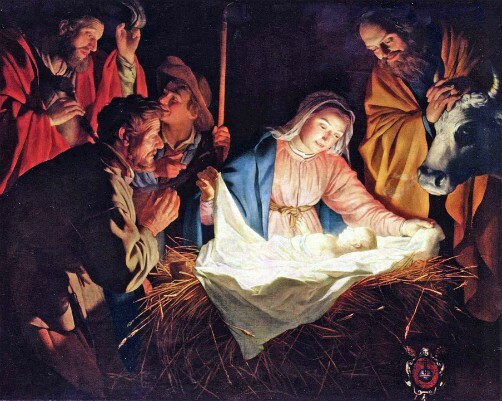 Festival to celebrate the arrival of the three kings or wisemen after the birth of Jesus. 2 Copacabana - Virgin of Candelaria. Participants attend mass, dance in the streets, and many, in penitence or to request a favor of the virgin, climb a steep slope following the steps and stops Jesus made to Calvary. 9 Jisk´a Anata Carnival. Indigenous groups celebrate the Pachamama (Mother Nature) and thank her for what she has given them throughout the year. Jisk’a Anata means “happy time”. Carnival in Oruro. (Spelled Carnaval in Spanish). In honor of the Virgin of Socavón, dancers dance in the streets for 8 days straight wearing many different costumes. This is the largest Carnival celebration in Bolivia. Dances, costumes and music are typically Andean. 10 Ephemeredes of Oruro. Anniversary of the Department of Oruro. A fair is held for tourists to showcase regional folklore and handcrafts. 2 Aiquile. Virgen de la Candelaria. Fireworks and folklore, as well as an agricultural fair. 2 Samaipata. Virgen de la Candelaria. A procession with a statue of the virgin, bands and dancing in the streets. You can also visit El Fuerte, the archaeological ruins of what may have been an Incan ritual site. Dates vary. Carnival in Santa Cruz. In Santa Cruz, Carnival is very similar to that of Brazil with beauty queens, colorful costumes, tropical music, and processions through the streets. Dates vary. Carnival. Music and dancing through the streets. 19 San Jose Music, dancing and fireworks near the San Jose Mine located about a mile from the city of Oruro. 2nd Sunday. Tarabuco-Phujllay. To celebrate victory over the Spanish in 1816, indigenous groups meet in the town of Tarabuco for music and dancing. Mass is held in the Catholic Church in the Quechua language. 19 San José and San Ignacio de Moxos. Bonfires are lit and dancers walk over burning embers to show their devotion to Saint Joseph. (Dates vary). Fiesta de la Uva. The Festival of the Grape, commemorating the harvest. Grapes, wine and other spirits made from grapes are sold. 8 San Juan de Dios. This event is celebrated in Tarija and is also around the Celebration of the Grape. 19 San José. San José is the patron saint of carpenters and is honored with a festival. March/April: Semana Santa. Easter, here called Holy Week, begins on Mundy Thursday and continues Good Friday, Saturday and Easter Sunday. The Virgin Mary is carried through the streets in a procession. Dates vary. Easter. An agricultural fair is held on Palm Sunday ( Domingo de Ramos) in El Alto. Animals, fruits and vegetables are sold, as well as traditional foods. Thousands make a pilgrimage on foot from La Paz to Copacabana beginning on Good Friday. Dates vary. Huari. One of the largest agricultural fairs in the region attended by vendors from all over the country. Dates vary. Easter. A procession through the streets during which a statue of Jesus after death on the cross is carried through the streets on Good Friday. Dates vary. Easter. Yotala. The very devout participate in street processions and mass. Dates vary. Easter. San Ignacio de Velasco. Inhabitants of San Ignacio de Velasco emulate the soldiers that accompanied Christ to the Calvary on Good Friday. Celebrations continue through Sunday. Dates vary, but it takes place during Easter week. Pascua Florida. San Lorenzo. Singers and dancers compete on Saturday, then attend mass on Sunday after which there is a procession through the streets. 15 Ephemeredes of Tarija. Anniversary of the Department of Tarija and the Battle of Tablada. This date is celebrated with parades and the Chapaco Rodeo and horse racing. Traditional “gaucho” culture. 3 Island of Suriqui - Fiesta de la Cruz. Festival that takes place on the Island of the Suriqui in Lake Titicaca. Handcrafts are sold and there is folkloric music and dancing to celebrate the cross of the Calvary. Late May/ Early June. Fiesta del Gran Poder. The devout dance in large groups to the Señor del Gran Poder. One of the largest festivals in the country in honor of Jesus Christ. Dance troupes compete to see who dances the best. 3 Fiesta de la Cruz. In the city of Santa Cruz and in Vallegrande, parishioners go to the cemeteries to participate in a community “wake” in honor of the cross on which Christ was crucified. 3 Santa Vera Cruz Tatala. Festival to commemorate the beginning of the agricultural season in the valleys of Cochabamba. Dancers dance a fertility dance. About 5 miles from the city there is a large folkloric dance at one of the churches. Couples go to ask God for fertility as well. 3 Canasmoro, San Andrés and Bella Vista. Fiesta de la Cruz. As in Santa Cruz and Vallegrande, there are processions, and traditional foods are sold in the streets of this, the Festival of the Cross. 3 Fiesta de la Cruz. Here festivities are more indigenous than Christian. Dancers dance the famous “tinku” dance through the streets. 8 San Juan de Dios. Takes place in Manquiri. Commemorating St. John. 25 Ephemeredes of Chuquisaca. Anniversary of the Department of Chuquisaca. A fair is held to promote Bolivian culture and tourism. Tour operators, travel agencies, hotels, and others participate to promote tourism. There is dancing and handcrafts are sold. Celebrates General Sucre’s cry for independence from the Spanish in 1809. San Juan. June 23 or 24. Countrywide. In honor of John the Baptist, on the longest and coldest night of the year bonfires are lit throughout the country, even in busy cities (although La Paz sometimes outlaws it because the smoke lingers in the canyon for days). There is much drinking and eating throughout the night as people gather around the fire to talk, play games, and sing. In the highlands they light fires to keep the evil spirits away on the coldest day of the year. If you ever participate in San Juan and someone in your group has a guitar, be prepared to hear “Hotel California” over and over again until you hate it. Famous for it's Firewalkers on San Juan night is the little town of Porongo. 13 in Capinota. San Antonio. Celebrants go to mass, then participate in a procession and dancing through the streets. 13 in Sella. San Antonio. St. Anthony. Celebrants go to mass and dance troupes compete in the streets. 16 Italaque. Virgen del Carmen. In honor of the virgin folkloric dances and Catholic mass. 21 Inti Raymi. Tiwanaku. One of the more interesting cultural ceremonies to welcome the arrival of the Aymara New Year (Winter Equinox). Inti Raymi means “sun festival”. This is one of the most spectacular festivals in the country. Inti is the sun god. 29 San Pedro y San Pablo. Tiquina – Achacachi, both towns in La Paz to commemorate Saint Peter and Saint Paul. 24 San Juan. San Juan takes place on the coldest, longest winter night of the year. Throughout the country people light bonfires in the streets and spend the night singing and playing guitar, card games, and just enjoying great conversation. 24 San Juan. 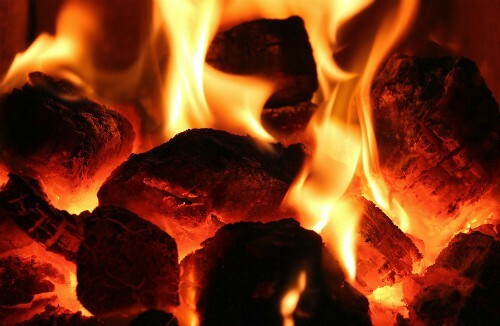 Here people run through the bonfires or spread coals and walk through the hot embers. 1st week of June. Dates vary. Holy Trinity, Santísima Trinidad. Trinidad is the capital city of the department of Beni. 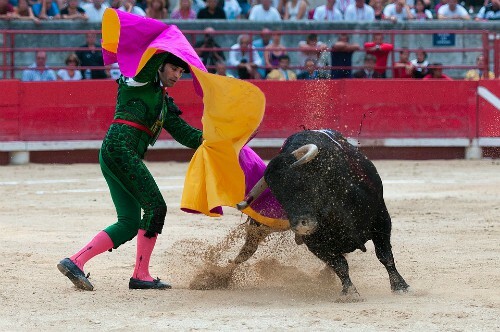 In celebration of their city, folkloric dance groups dance in the streets and there is also bullfighting. The most important festival of the year in Beni. Dates vary. Corpus Christi. Catholics show their religious devotion throughout the country with solemn processions in which they carry a statue of Jesus and participate in mass. 16 Anniversary of the Department of La Paz. Virgen del Carmen Festival. In El Alto dancers commemorate the Virgin with processions and dance competitions. Oruro, Cochabamba, the Yungas and Sucre also have festivals on this day. 25 Festival for Apostle Santiago (The Apostle James). Quime (La Paz), Laja, Guaqui, Toro Toro. About 60 miles from La Paz, folkloric dancing in Quime. Lasts about a week. Also takes place in small towns throughout the departments of Chuquisaca and Cochabamba. Held throughout the Andes and in Tarija, and anywhere else where Santiago is the patron saint. 22 Magdalena.- Local party with folkloric dances, bullfight, games. 31 San Ignacio de Moxos. Festival for the Patron Saint of the Moxos region. One of the most important festivals in the Beni region, there are festivities and folkloric dancing throughout the night. First Sunday. Pentecost. 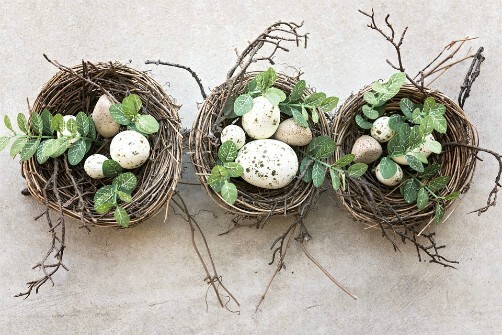 In the Cochabamba countryside offerings are made to Pachamama (Mother Nature, or Mother Earth). 6th Independence Day. Countrywide. Local folkloric dances of the tropics, bull fights and games. Military parades and marching bands. 2 Día del Indio. Day of the Indian. Held in the province of Iturralde, La Paz to celebrate the indigenous groups native to the region. 5-6 Copacabana, Virgen de Copacabana. Processions, pilgrimages and folkloric dances on the shores of Lake Titicaca. Dancing and folkloric displays as well. 5 Italaque, Virgen de las Nieves. Virgin of the Snow. Folkloric groups, processions and mass. 24 Chulumani, San Bartolomé. Folkloric groups, processions and mass. 10 San Lorenzo. In the city of Santa Cruz residents of the San Lorenzo neighborhood play games and hold competitions in honor of Saint Lorenzo (Lawrence). Last Sunday in August. Santa Cruz Traditions Day in honor of all the typical traditions and customs, food, music, dance and crafts of Santa Cruz. 10 San Lorenzo. Celebrated by those who live in the town of San Lorenzo in honor of their patron saint. Mass and processions are held. August/September – Yacuiba. Festifront. This music festival has grown over the years and international groups have begun to participate. 5 Virgen de las Nieves - Italaque (Cochabamba). A religious festival for the Virgin of the Snow. Mass, folkloric dancing and processions. 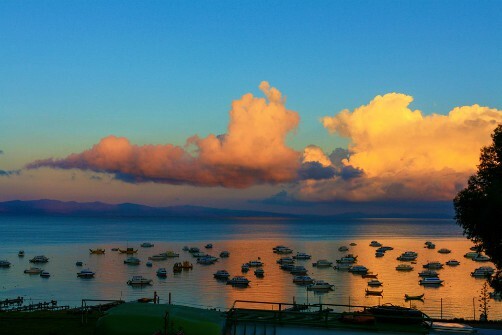 Also takes place in Copacabana, Lake Titicaca. 3rd Week in August, Quillacollo, Virgen de Urkupiña. This is one of the largest religious festivals to take place in Bolivia. There are many devout to the Virgin of Urkupiña. They honor her with traditional dancing and folklore, processions and Catholic mass. The devout petition her and make her promises in exchange for granting their requests. 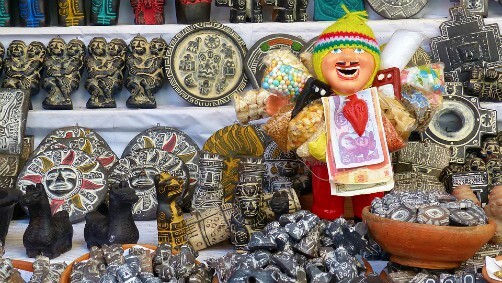 Miniature handcrafts are sold, similar to Alasitas in La Paz. Hundreds of festivals are held elsewhere across the country. 15 Llallagua - Virgen de la Asunción. Folkloric dancing, fireworks, Catholic mass and a religious procession. 28: San Agustín. This eight-day festival is held in Toledo, located 40 km from Oruro. 21 San Joaquín. Festival in honor of the patron saint Joaquín with bullfights, dancing and competitions. 24: San Bartolomé de Huayco. Also known as the festival of the Chutillos, held in Potosí. 8 Viacha.- Bullfights, folkloric dances, about 12 miles from the city of La Paz, on the altiplano. 14 Sorata.- (144 km. from La Paz). Folkloric exhibitions and typical food. It is the most important festivity in this town. 21 Tiahuanaco (La Paz).. Equinoccio de la Primavera. Spring Equinox. Indigenous leaders and inhabitants gather to watch the first rays of sun (of the sun god Inti) shine across the main portal of the Temple of Kalasasaya. The first day of Spring and a very important indigenous and local festival. 14 Departmental anniversary. Culture and Tourism Festival during which handcrafts and companies involved in tourism, such as travel agencies, hotels, and tour operators, participate. 14 Varios provinces. Señor de la Exaltación. Lord of Exaltation. Masses and processions. Celebrated in Potosí, Cochabamba, Sorata and over 15 days in Oruro. 8 Vallegrande. Virgen de Guadalupe. Festival with typical food and drinks, and singing competitions. Also held in Viacha (La Paz), Sucre (Chuquisaca) and Vallegrande (Santa Cruz). Folkloric dances, bull fights, music, dancing and typical food and drink. 24 Ephemerides of the Department of Santa Cruz. Departmental anniversary involving civic functions and parades as well as other celebrations to honor Santa Cruz. This is a public holiday in Santa Cruz, although it is not in other parts of the country. Dozens of festivals and events in September. Read about them here. 8 Sucre. Virgen de Guadalupe. Solemn procession of the Virgin’s image through the streets. Viacha (La Paz), Sucre (Chuquisaca) and Vallegrande (Santa Cruz). A religious festival in honor of the Virgin of Guadalupe. Folkloric dances, bull fights, music, dancing and typical food and drink. 14 Exaltación del Señor de la Vera Cruz (Exaltation of the Lord of the Cross) at San Lorenzo Church. Pilgrimage in honor of Lord to the Manuquiri Sanctuary. Also takes place in Sorata (La Paz), Potosi, Oruro, and Cochabamba. A religious festival for the holy cross. One of Cochabamba's biggest festivals and the celebration of the Ephemeredes of Cochabamba’s, the departmental anniversary. Also Sorata’s most important festival. 29 Uncía (Potosi). San Miguel Festival. Folkloric groups dance the famous “tinku” dance. Mass and procession. Typical Andean folkloric dances by groups of “Tinkus”, the ancient warriors of this region. Mass and processions. 1st Sunday. San Roque. Tarija’s most important festival lasting 8 days with daily processions, food and typical drinks. The most outstanding characteristic of this festival are the processions accompanied by the Chunchos of all ages who dance daily adorned using stunning costumes. San Roque is the patron saint of dogs. 1 Viacha. Catholic mass, processions and folkloric dancing. 20 Foundation of the City of La Paz (Nuestra Señora de la Paz, Our Lady of Peace). Civic acts and at times military band marching. 24 Santa Fe, San Rafael Mining District near the city of Oruro. Festival to the patron saint Raphael with folkloric dancing and music. Dates vary. International Culture Festival takes place in the cities of Sucre and Potosi. Painting, music, literature, theater, cinema, and the participation of ethnic groups as well as activities related to contemporary art and pop culture in artists and groups from many countries participate. 1-2: Virgen de La Merced and Virgen del Rosario. A sacred procession in Potosí. 4 Huaylla. Virgen del Rosario. Fireworks, songs, folkloric dancing, Catholic mass and processions. Held in Oruro where it is also know as Huayllas, Warnes in Santa Cruz, Sucre and Cochabamba. 2nd Sunday. Virgen de Guadalupe - Distrito Minero de Santa Fe (Oruro). A procession of riders on horseback called Matacos (men) and Cunas (female Matacas). 2nd Sunday. Virgen del Rosario. Also called the Flower Festival, it is carried out in the El Molino neighborhood with a procession after Catholic mass. Viacha (La Paz), Quillacollo, Tarata & Morochata (Cochabamba), Tarija (Tarija), Warnes (Santa Cruz), Tarabuco (Chuquisaca), Huayllas (Oruro) & others. A celebration for the Virgin of the Rosary. Fireworks and dancing in some locations. 2nd Sunday Entre Ríos (Tarija). Virgen de Guadalupe. Parade of horsemen matacos and chiriguanos, cuñas (matacas women). Also held in the Distrito Minero de Santa Fe (Oruro). Dates vary. Cochabamba. Luzmilla Patiño Folklore Festival, held every two years (next one should be in 2008). 1-2 Todos Santos (also called Día de los Muertos or Día de los Santos Difuntos). All Saints/All Souls Day. People visit the graves of their dead family members, bringing them flowers and adorning the tombs. 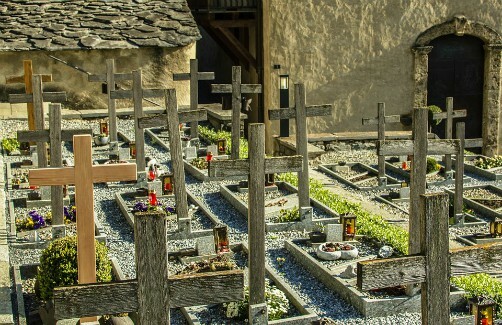 Many people spend the entire day in a type of family picnic (and sometimes the night), eating and drinking, leaving bread dolls and other pastries, as well as full meals and drinks for the dead. They set a place for the deceased at each meal. 1st Sunday. 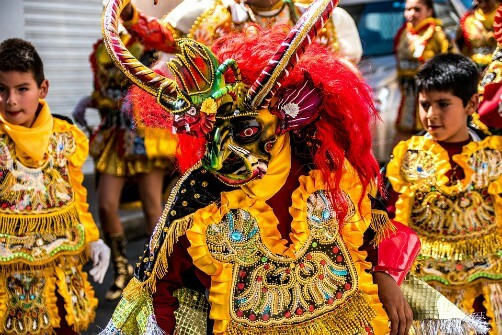 Invitation to folkloric dance troupes to participate in practice sessions over the next few months for the dancing at the Festival of the Virgen del Socavón that will take place at Carnival in Oruro. This is the first visit to Oruro for the participants for the Carnival in February. 18 Ephemeredes of Beni. Anniversary of the Department of Beni. Culture and Tourism Fair in Trinidad with handcrafts, folkloric dancing and music. 30 San Andrés. Saint Andrew. Festivities in the city with fireworks, folkloric dancing, processions and masses. Also held in Taquiri (Cochabamba). November 30th in Taquiña. San André Festival. (St. Andrew Festival.) Popular songs, fireworks, folkloric dances. 24 Navidad. Christmas. The holiest of all festivals, each department has its own variation but the more exotic festivities are in: Villa Serrano & Sucre (Chuquisaca), Vallegrande (Santa Cruz), San Ignacio de Moxos (Beni) & Tarija where some of the celebrations are carried on until the end of January. 3 San Francisco Xavier (Santa Cruz). Festival to the Patron Saint Francis Xavier. Folkloric dancing emulates how the town defended themselves against the Portuguese when these towns were Jesuit Missions. Celebrated in the various Jesuit mission towns in Santa Cruz. 8 Comarapa, Portachuelo and Cotoca. Day of Purísima Concepción. Day of the Immaculate Conception. Takes place with typical dances, food and drink. 3 San Javier (Beni). Celebration of folkloric dances and bullfights. The famous tropical bull fights, not to be confused with the festival of San Francisco Javier in the department of Santa Cruz. 14: Santa Bárbara. Seven-day festival in Oruro. 21: Virgin of Lourdes. Also held in Oruro. 8: Día de la Inmaculada Concepción. Day of the Immaculate Conception. Typical dances, food and drinks. Also held in other towns in the departments of Santa Cruz and Cochabamba. Return to the Bolivian Holidays home page to learn more about publich holidays, events, and other special occasions.